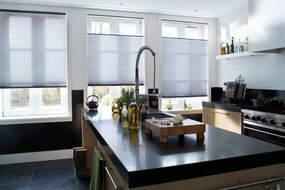 There are so many different ways to enjoy simple, smooth, effortless operation of your shades, you’re sure to find a perfect option for your home. At Luxaflex® we consider child safety a top priority. Making products safer for homes with infants and young children is an integral part of our design philosophy. Download our free Child Safety brochure. Your local Luxaflex® dealer will guide you through the right option for your window and your home. Our unique design features a retractable cord which lets you raise or lower your Shade – with no untidy, unsightly dangling cords. Operate your blinds at the touch of a button operation with PowerRise® battery remote control operation or wall operation for precise light control, privacy and enhanced child safety. Open from the top or the bottom, or settle somewhere in between. Create the perfect balance of privacy and natural light. Control the light, and heat, from above with simple operation especially designed for skylights. Enjoy natural light with extra light control for skylight openings so you’ll experience fewer glares on television and computer screens. Effortlessly slide vertical blinds and other Luxaflex® products with a crank or slide wand system that can lift and tilt with one easy operation. 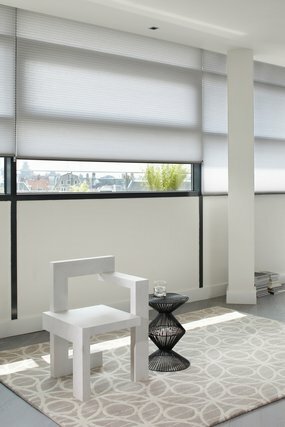 Fitted as standard on many Luxaflex® blinds, the connectors break apart and separate when pressure is applied to them. If you prefer a cord or endless chain, safety for your child is increased with extra safety devices. All Luxaflex® products are supplied with a cord or chain safety device.